You can make your Mac put itself in Sleep mode automatically after a fixed period of time. If your Mac doesn’t detect any keyboard or mouse activity within the length of time you have designated, your computer will put itself into Sleep mode automatically. The inactivity time: The inactivity time defines how long your computer waits before putting itself into Sleep mode. This time can be as short as one minute or as long as three hours. The parts of your computer to put into Sleep mode: The two main parts of your computer that you can put into Sleep mode are the hard drive and the display (your computer screen). 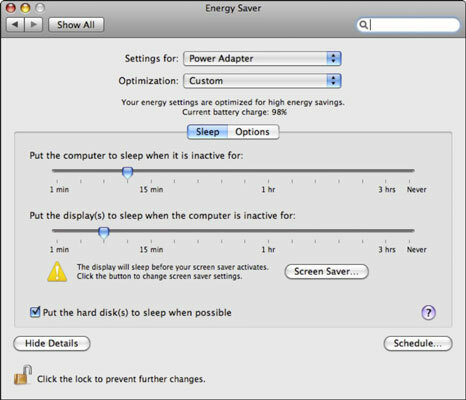 Because the hard drive and the display consume the most power, putting at least one or both of these parts into Sleep mode can dramatically reduce the amount of power your Mac consumes while it’s asleep. Choose the Apple key→System Preferences. 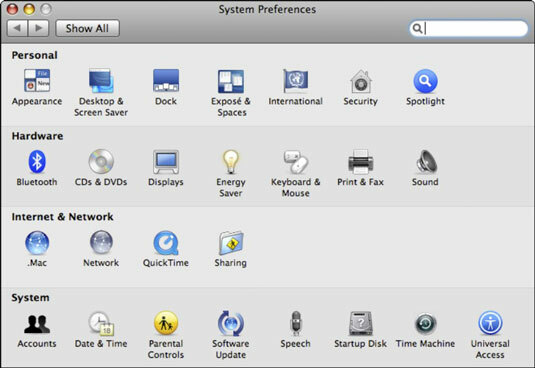 In the System Preferences window, click the Energy Saver icon (the light bulb) under the Hardware category. Click the Close button of the System Preferences window or choose System Preferences→Quit System Preferences.